Want to escape civilization for a day? Goesan’s your place. Tucked away in the mountains of central Korea, Goesan is a tapestry of deep valleys hidden amidst forested mountainsides. 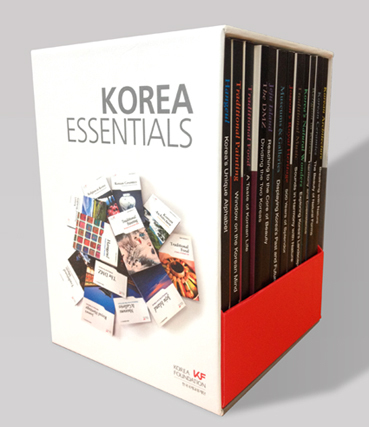 Korean landscape painters and philosophical scholars have been coming here in search for inspiration for centuries. Nowadays, it is largely tourists who descend upon Goesan’s valleys to recharge in the natural splendor of the great outdoors. 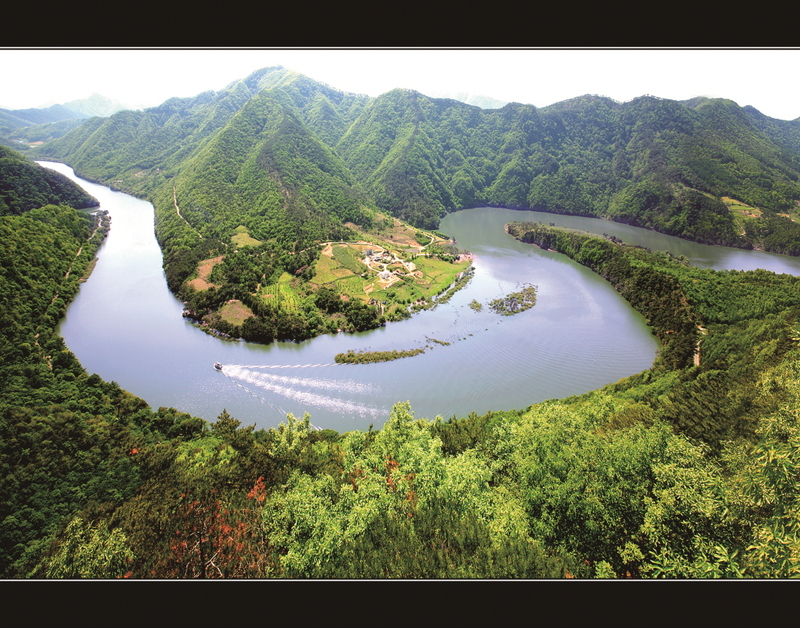 Korea has roughly 40 long, deep valleys, or gugok (literally, “nine-bend valley”). Of these, seven are located in Goesan alone. 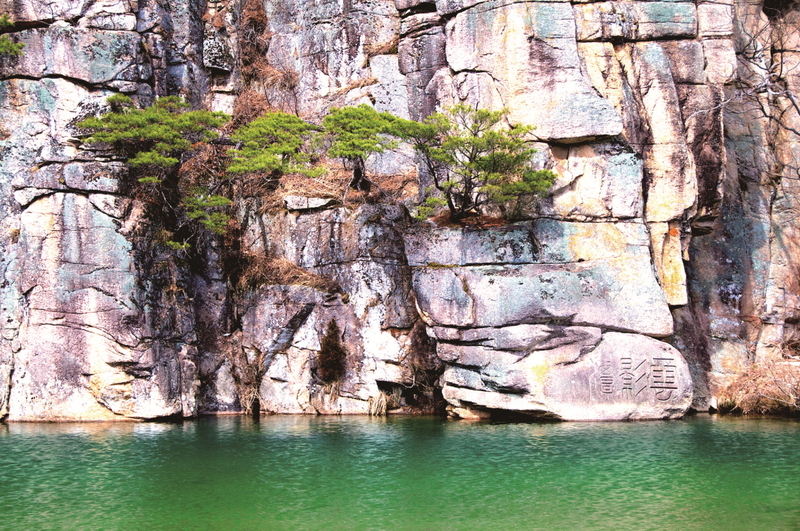 Wind and water have carved great gorges from the weathered slopes of the Sobaeksan Mountains; in each gorge can be found individual worlds of inspiring scenic beauty. During the Joseon Dynasty, Confucian scholars and officials frequently visited the valleys, extolling their beauty through poems and paintings. They left behind many wooden pavilions erected at especially scenic points, where they’d spend days soaking in inspiration from the surroundings. 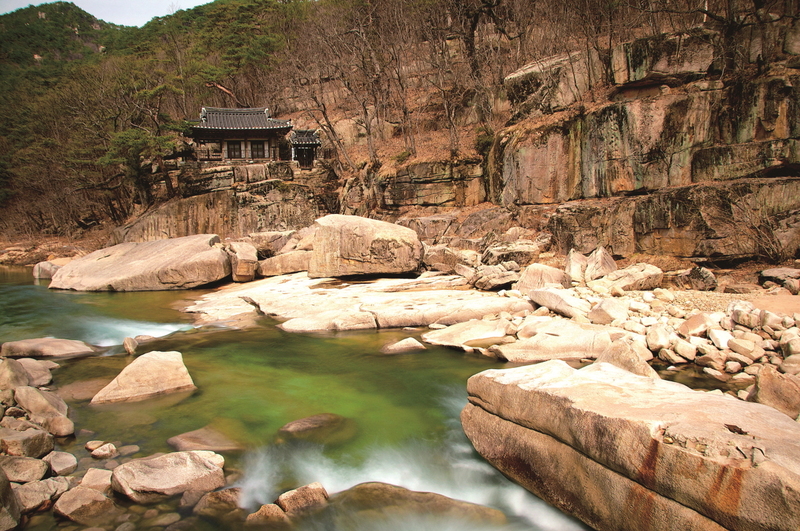 The most famous of Goesan’s valleys is the Seonyugugok, the centerpiece of Hwayang Provincial Park. Each of the 2 km-long valley’s nine bends were named by famed 16th century Confucian philosopher “Toegye” Yi Hwang, who toured the valley for nine months while on visit to a nearby clan. He etched the names in stone; some of the carvings can still be found. The river gorge is lined by dramatic cliffs, fantastically shaped boulders, and verdant groves of pine. Some sections of the valley are said to possess a rugged, masculine beauty, while other sections possess a softer, more feminine beauty. In the upper part of the valley you’ll find the Hakcheonjeong Pavilion, built in 1909 by the Confucian scholar Yi Jae. Nearby Hwayanggugok is just as lovely, albeit a bit grander in scale. 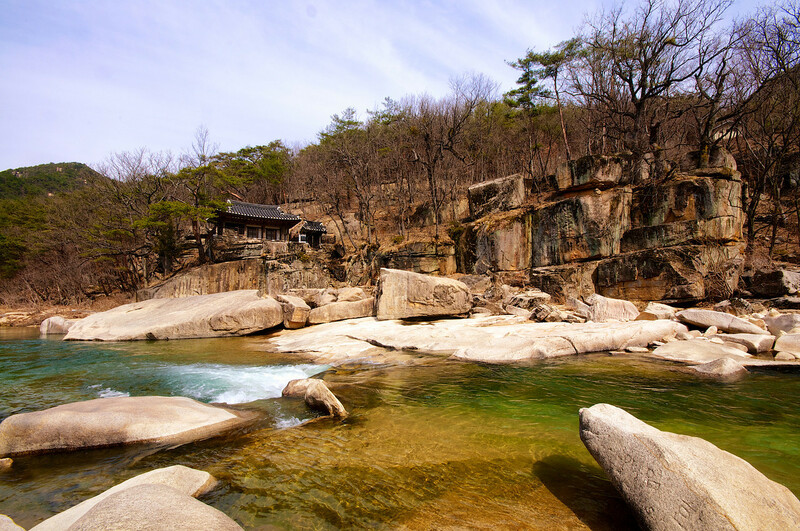 The 3 km valley has its share of scenic cliffs and rocks, although the visual highlight is Geumsaam Rock, which is topped by Amseojae Pavilion, built by 17th century scholar “U-am” Song Si-yeol, who lived near the valley as a hermit. His tomb and an old Confucian academy he founded can be found nearby, too. Overlooking the jade water from atop a slab of white granite and surrounded by deep green trees, the pavilion is straight out of an Eastern landscape painting. If those valleys aren’t enough, you can find lovely scenery at the Ssanggokgugok and Gareungugok valleys, too. For board game fans, Gareungugok has a baduk (also known as Go) board carved into one of its granite slabs. The old Sanmagi Road is a 4 km hiking trail that takes you along the the beautiful landscape of Lake Goesan, a scenic reservoir created after the 1957 construction of Goesan Dam, Korea’s first indigenously built hydroelectric dam. The trail follows the old walking paths that Koreans used to use to go from village to village in bygone days. To preserve the natural environment, the path is largely covered by an elevated wooden deck. There are even wood plank suspension bridges to take walkers through some of the wooded sections. 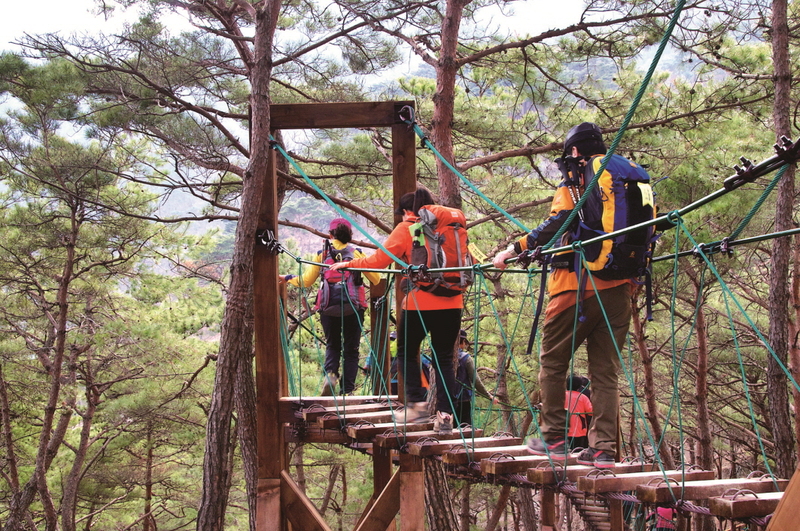 Scenic lookouts have been built at strategic spots along the trail, including one spot overlooking an oxbow village shaped like the Korean Peninsula (requires an off-path hike up a mountain). If you’d like to take in Lake Goesan’s scenery from below, cruise boats depart from several docks along the lake. The longest cruises take about an hour, with one-way and round-trip tickets available. About a 10 minute drive from downtown Goesan is Nunbisan Farm, an environmentally friendly chicken ranch where eggs are produced in a humane manner. Unlike typical eggs, most of this farm’s eggs are fertilized—mating chickens are happy chickens. The farm was founded in 1968 by the Maryknoll Fathers, a US-based Catholic missionary society, to help improve life in Korea’s rural communities. It is now a member of Hansalim, a Korean consumer cooperative dedicated to incorporating ecological principles into all facets of daily life. In particular, they work to link organic farmers in rural districts with consumers in urban areas through a network of grocery stores. Nunbisan’s eggs—and its egg-based snacks—can be purchased at Hansalim grocery stores throughout Korea. Nunbisan Farm takes volunteers, too—it runs programs where participants can learn about ecological farming as they help out on the farm. Call 043-832-8063 for more information. Mat Sikdang (T. 043-833-1580) is small (just five tables) and would generously be described as rustic. It’s also so good it appeared in cartoonist Huh Young-man’s famous comic strip Sikgaek. They specialize in two dishes. The first is olgaengiguk, a spicy soup of fermented soybean broth, leeks, and marsh snails. It’s a regional specialty and particularly good for relieving a nasty hangover. The other is doenjang jjigae, a stew made from soybean paste that has been fermented for several years. Goesan is also famous for its red peppers—the Goesan Red Pepper Festival (in August) is a good time to taste them. Goesan has its fair share of small motels, inns, and pensions. If you’re looking for something more upscale, Hotel West of Canaan (T. 043-833-8814) has nice, clean rooms in lovely mountain surroundings beginning at KRW 149,000 a night. For something more traditional, the Cheongcheon-ri Goga (T. 043-832-4062) is a late 19th century home that has been converted into a guesthouse. 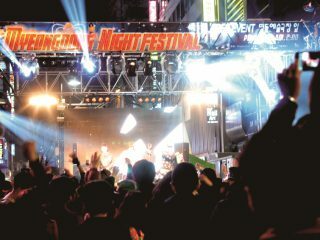 Rates are very reasonable, beginning at KRW 25,000 a night during the high season (May 1–Oct 1), but with just seven rooms available, you should reserve a space early. Buses to Goesan depart from Seoul’s Dong Seoul Bus Terminal (travel time: 2 hours).